This is probably the most adorable Cardmaking Collection Box kit in history! Who can resist puppies and kittens? 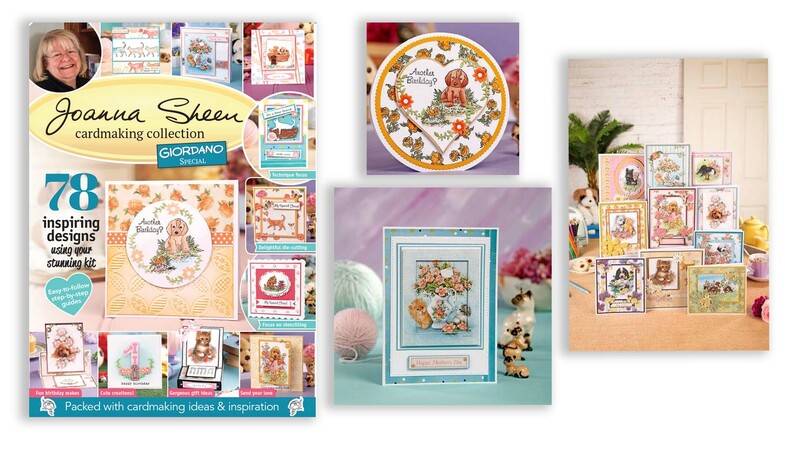 The Joanna Sheen Cardmaking Collection Kit 7 is jam-packed with crafting goodies worth over £50! It includes a 5-piece die set, an A6 patchwork embossing folder, a 5-in-1 stencil, 11 stamps, and 114 papers & toppers from Giordano Studios. And there’s also a 68 page ideas magazine to give you ideas and inspiration for how to use everything included in your kit. It’s perfect for beginner crafters wanting to build up their stash, but also for advanced crafters! Over £500 worth of prizes to be won!